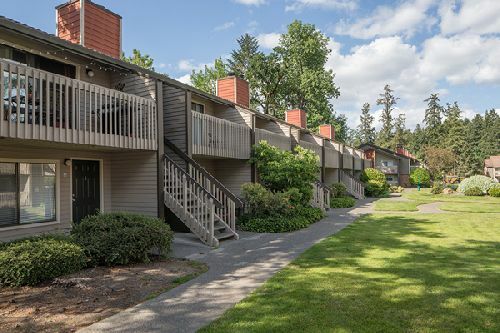 Arbor Creek, a 440-unit, garden-style apartment community in Beaverton, OR, sold for $84.3 mil, or $191.6k/unit. The property, situated on 22 acres at 3280 SW 170th Ave, was acquired by Security Properties. Arbor Creek is approximately 1.5 miles from Nike World Headquarters and within 10 minutes of the Intel Ronler Acres Campus and other major area employers. Additionally, the property is adjacent to the 222-acre Tualatin Hills Nature Park and offers nearby access to some of the MSA’s top retail centers, major transportation arteries and public transit options. Originally completed in 1984, Arbor Creek includes one- and two-bedroom units averaging 768 sf each, 360 of which have been renovated since 2012. Community amenities include a swimming pool, spa, fitness center, basketball/sport court, indoor racquetball court, playground, clubhouse and business center. HFF’s Ira Virden and Carrie Kahn represented the seller, Jackson Square Properties, and procured the buyer. Additionally, HFF’s debt placement team of Charles Halladay, Scott Gilson and Charlie Watson worked on behalf of the new owner to secure a seven-year, floating-rate loan through Freddie Mac’s CME Program. The securitized loan will be serviced by HFF, a Freddie Mac Multifamily Approved Seller/Servicer for Conventional Loans. HFF originally marketed the property to Jackson Square Properties upon its acquisition of the asset in 2014.